With seemingly just over a week until its official debut and officially confirmed release, the rumour train continues to trundle along with Vodafone's Dutch arm seemingly confirming the iPhone 7's naming for 2016. According to Dutch tech site TechTastic, Dutch Vodafone has confirmed the iPhone 7 will be called... the iPhone 7. Yup, much as T3 expected, Apple is keeping to the usual naming conventions in much the same way its specs are more of a continuation of the iPhone you know and love. 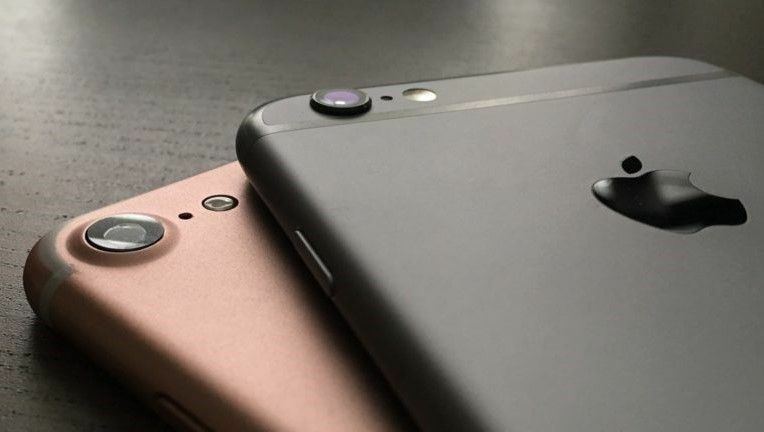 Talking of specs, that very same site has also reportedly confirmed the specifications of the iPhone 7 and the iPhone 7 Plus. Much like the iPhone 6, the iPhone 7 will have a 4.7-inch display with a 750x1334 resolution and 2GB of RAM. What is new is the subtle upgrade to an Apple A10+A10 processor and an improved 1960 mAh battery (up from the previously 1715 mAh one). The iPhone 7 Plyus will also keep the same screen real estate (a 5.5-inch screen with a 1920 × 1080 resolution). The only real changes here will be the same processor update as the vanilla version, and an additional GB of RAM taking, its out-of-the-box total to 3GB. So nothing life changing, but perhaps a subtle confirmation that Apple really has adopted a three-year development cycle that till see the real shakeups occuring next year.